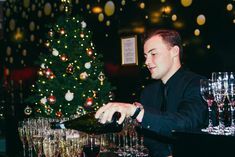 When it comes to throwing Christmas parties, there’s nothing we love more at Merlin Events London than to organise a spectacular, memorable party. As Christmas is all about fun, festivities and sharing we thought we’d put together our five tips on how to throw the best office Christmas Party ever (and hopefully take a bit of the stress out of the equation!). Work with an experienced Christmas Party Coordinator – don’t panic you’re not on your own! Treat them as your guiding star as they’ve been doing it for years, so speak to them about your ultimate goals or vision and ask them for a timeline of priorities. 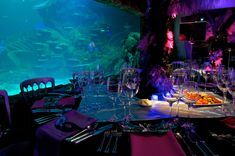 (Remember any Christmas Party at Merlin Events London includes a dedicated event manager). It’s best to plan early but don’t panic if you’ve left it too late and your preferred locations for your office Christmas party are booked. Consider weekdays or holding it in January or November to give you more flexibility and help your budget stretch more. Business Matters advises that you don’t forget cultural diversity – not everyone celebrates Christmas, but everyone celebrates New Year and enjoys the holiday season. Eventbrite believes that the wow factor starts with the venue – an unusual setting immediately makes a statement and helps to create a fantastic experience. And that’s not all – according to PA Life you need to have the perfect picture moment for that all-important selfie. A survey of 1,000 UK consumers carried out by Christmas Tree World has revealed people upload 7 photos on average of themselves in front of Christmas trees, decorations and displays throughout the Christmas period, so it’s got to look stunning! Recently trends show a move away from hotels and conference rooms to unique venues and non-traditional venues. People are also looking for more than just a venue, with set designs and themes becoming increasingly popular. As we covered in our blog Shared Office Christmas Parties – when small means thinking big; whether it’s an alpine ski lodge, a set from Love Island or moonscape, people are looking for that little bit more. Themed parties are also continuing to be on trend. Echoes from the Olympics are still popular with carnival or samba-themes adding atmosphere, party spirit and a fantastic opportunity to wear great costumes. Work/life balance is a huge trend in 2018, and mindfulness and wellbeing as themes are now very common. This can range from having a hand and neck massage at a cocktail party, to events with a dinner dance format also offering a ‘chill out’ zone for those wanting a chance to relax and unwind. Luxury street food and classic festive foods are becoming increasingly popular each year, creating an informal atmosphere for guests, and promoting interaction between colleagues at your office Christmas party. However, sit-down meals are still very popular. When planning catering, a great tip to bear in mind from Eventbrite is that food will help create a sense of theatre, leading to a more memorable experience. Paragon suggests American snacks including pulled pork, sliders, mac and cheese are popular due to their booze soaking up abilities. You could give them the gourmet touch by adding some truffle into the mac and cheese or mix up your serving options – why not do sharing boards Jamie Oliver style? At Merlin Events we’re proud to work with London’s leading award-winning caterers who create incredible eating experiences to enhance your Christmas parties. As alcohol is often the leading factor in post-party embarrassing situations it’s worth bearing in mind and offering alcohol-free alternatives and booze soaking nibbles. Non-alcoholic drinks are also increasingly popular due to the popular trend of wellbeing and health in the workplace. And think of the weather – when its cold, warm drinks go down well. So mulled wine and cider stations with DIY spices and garnish can work well. Lettice Party reports that technology is becoming more and more popular at all events with AR, AI and VR making an appearance in order to create an immersive experience in entertainment for all to enjoy. Don’t underestimate the importance of entertainment, as it can be the deciding factor in how an event is received. Uptown Events recommends whether you hire mixologists, showcase digital art, amaze with fire breathers or go for a unique DJ, it’s worth giving entertainment that extra spin, so incorporate it from the very beginning of your planning. It’s all about taking care of every detail so the office Christmas party is on brand and the corporate messages are effectively conveyed. Attendees need to come away having had a brilliant time and in no doubt as to what it was all about and why they were there. And finally, think about transport home for your guests’ wellbeing. A survey for PA Life revealed that nearly a quarter of Brits have ended up between 50 and 100 miles out of their way after falling asleep on a train! If you’ve left it a little late to book your office Christmas party venue, we have dates available for larger office Christmas parties here and shared parties for smaller groups here!